One of my fondest and most vivid childhood memories happened at around age ten. I’d just gotten home from school and put my bag down in my bedroom when I noticed a box sitting on my bed. I asked my Mum about the mystery box, but she didn’t know what it was, only that the return address was the petrol station down the road. Odd. Then I remembered, I’d sneakily put one of our fuel receipts into a prize barrel they had set up a month or so prior, offering all kinds of prizes. Knowing my luck I’d probably won a year’s supply of oil or something, I thought. I went back into my room and sat down to open the box. That’s when I saw it. A grey and yellow box emblazoned with the PlayStation logo, a console I’d been begging for for years, and beside it a copy of Spyro: Year of the Dragon. Fast forward almost exactly 18 years and it’s kind of surreal to be looking at a modernised version of that same game, let alone critiquing it, but here we are. 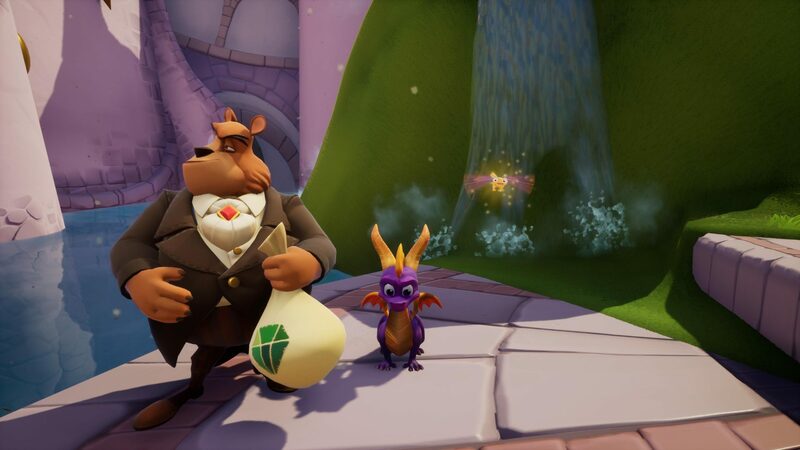 No doubt sufficiently happy with the returns on their first foray into remaking a beloved PSX platformer in the Crash Bandicoot N.Sane Trilogy, Activision are once again plumbing the wells of collective nostalgia with the Spyro Reignited Trilogy. Booting up the trilogy for the first time and being greeted with the barebones game selection screen, I wondered if I would get the trip down a freshly revamped memory lane that I wanted, or if I’d be the victim of a shameless exploitation of my cherished memories. If you plan on wearing your rose-tinted glasses to this event, do remember to update your prescription beforehand because this is something you’re going to want to see. 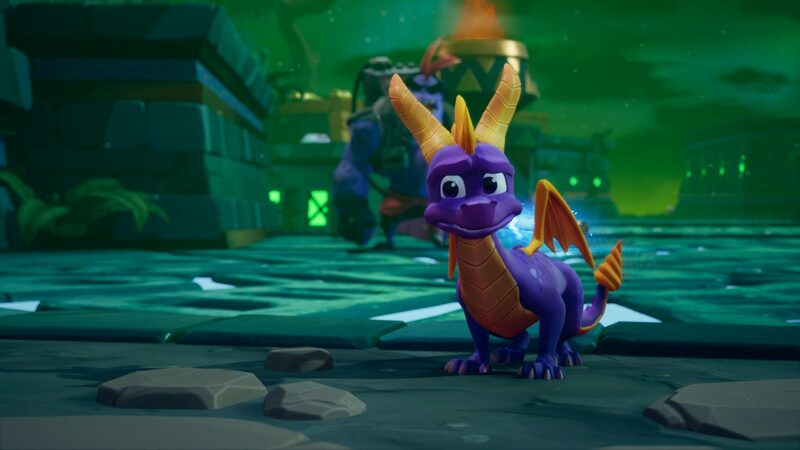 Right from the beginning it’s clear that Spyro Reignited Trilogy is every bit the visually enchanting remaster that fans have hoped for. Seriously, this thing is bloody beautiful. Every character, every world, every seemingly benign object has been reimagined from the ground up with some of the most gorgeous art I’ve seen in a game of this kind. While the basic framework of every level has been transposed wholesale into Unreal Engine 4, making them all recognisable in visual identity and gameplay, the difference is still night and day. What was once very basic environmental geometry peppered with the odd bush or tree is now a lush landscape bathed in glowing sunlight and stretching off as far as the eye can see. Spyro in particular looks fantastic, his new character design is perfect as far as I’m concerned, and the way his scales absorb the light and his mohawk gently blows in the breeze make him really pop on screen. Other characters also fare well, with new designs for everyone looking great across the board. I’m impressed that Toys for Bob managed to craft all 80-some adult dragons in the very first game with brand new designs and have them all look fantastic. In fact, with three whole games worth of NPCs and enemies across 100 unique levels there’s a ton of brand new, bespoke art in the Reignited Trilogy and whoever is in that department deserves a raise because all of it is fantastic. It can’t have been an easy feat to translate Insomniac’s original, off-kilter designs to a new format and still keep everything cohesive and attractive but they’ve pulled it off here. These games can safely join the ranks of the likes of 2016’s Ratchet and Clank or Super Mario Odyssey as something that could easily pass as the work of Pixar or Dreamworks. 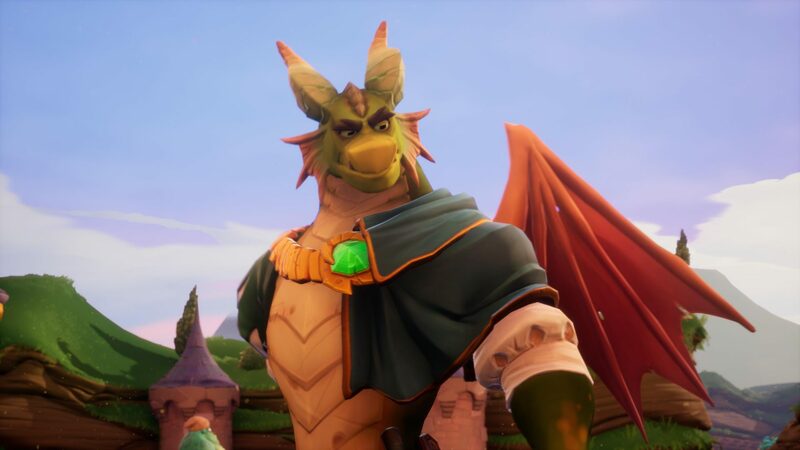 My best advice for playing the Spyro Reignited Trilogy is to start at the beginning. That might seem obvious to some, but I can completely understand the temptation to jump right into a favourite game (Year of the Dragon, in my case). Don’t do that though, get the original game done and dusted first. Not because it’s a bad game or anything, it’s wonderful, but of the three it’s definitely the weakest. See, Spyro the Dragon obviously pioneered a lot of what makes the Spyro games so great and is the foundation of the series’ DNA, but compared to its successors it definitely feels like more of a prototype. Levels are fun with some lovely-looking locales (especially now) but do typically amount to just a handful of floating islands decked out in whatever their theme may be. They’re full of cheap deaths too; making the slightest error in jumping usually results in either falling into the void below or insta-failing because Spyro touched some water. If you didn’t know, you’d almost think Spyro 2: Ripto’s Rage (previously named Gateway to Glimmer in PAL regions) represented a generational leap for the series. Instantly, levels feel larger and more cohesive, more like actual places compared to the floating islands of the first game. More lived in too, with each new world and location telling its own story independent of the main thread, and full of NPCs both friendly and not-so-friendly. Far less cheap deaths as well, thanks in no small part to Spyro’s upgraded repertoire. For starters, the little guy can finally swim! No more death cries because he got his little dragon tootsies wet, no sir. Underwater traversal is a thing here, as is climbing ladders and headbashing. Most important though is Spyro’s new ‘hover’ ability, a simple tap of a button at the end of his glide that gives him an extra little boost in distance and height. This move is a godsend, both expanding the scope of the platforming in the game while adding a last saving grace to any messed-up jumps. This alone is a great reason to finish up with the first game before jumping into the following two, going back to a Spyro without the hover ability is like going back to regular pizza crusts after you’ve had stuffed. It just feels wrong. Some will argue that Ripto’s Rage/Gateway to Glimmer is the best title in this particular trilogy, but those people are wrong. The final of the three, Spyro: Year of the Dragon takes the excellent foundation laid by the previous entries and makes it better. 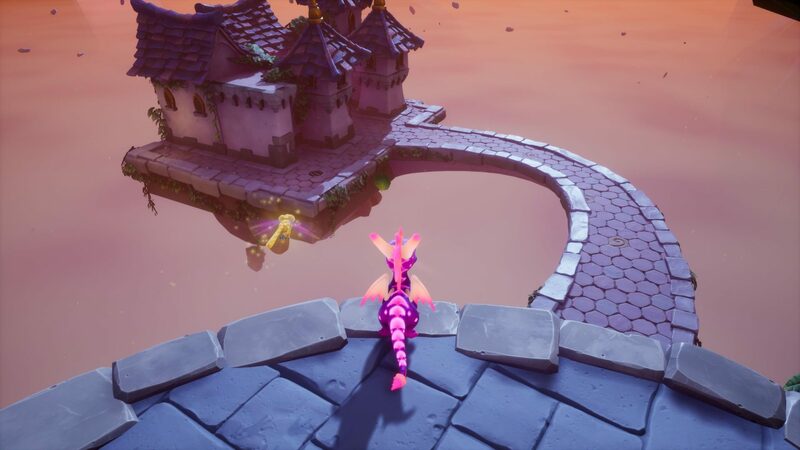 Better, bigger levels, a better story, more gameplay variety and even an expanded roster of playable characters made the last of Insomniac’s Spyro games something truly special. Out of all three, this was going to be the game to truly put Toys for Bob’s conversion to the test, not just because of the multiple new gameplay types and minigames (skateboarding!) but because of just how many times I played the PSX original. Harking back to my story about winning the PlayStation console, one thing that my prize pack didn’t provide me with was a memory card, so in my attempts to actually complete Year of the Dragon, I started and restarted it many, many, many times. So many times. So going in I knew this game like the back of my hand and if anything wasn’t quite right, I’d know. Luckily, everything is exactly as I remember, if not better. Visual update aside, Toys for Bob have done an excellent job at keeping the feel of the original games intact. There are definitely subtle tweaks to physics and game logic here and there, but nothing that significantly changes the core gameplay. Spyro and friends feel just as responsive as ever, if not slightly more thanks to the new animation work and a very smooth and consistent framerate (only 30fps from the looks, but solid as a rock and with motion blur effects in place). The great thing about this remade trilogy versus the Crash Bandicoot ones is that the full 3D platforming in Spyro’s games lends itself much more nicely to modern sensibilities. In Year of the Dragon in particular I regularly felt as though what I was playing was something I’d still rate highly were it presented to me as a game developed in 2018. A very special and final mention needs to go the audio work in the Reignited Trilogy, which makes for what I think is the best part of the overall update. The Spyro games have always had some of the best music and soundscapes in gaming starting with the originals all the way up to 2008’s Dawn of the Dragon. Hearing Stewart Copeland’s magical soundtracks again in crisp, high-res audio is a treat in itself, but having the option to switch to brand new, reimagined versions of every track with Copeland’s own involvement is absolutely wonderful. The new versions even have a ‘dynamic’ option that changes up the music based on gameplay, simmering down during a lull or swelling up as the action gets heated. New effects and new voice acting shine equally too, giving everything a Hollywood-like quality that completes the package perfectly. Spyro Reignited Trilogy won’t be for everyone. There aren’t any meaningful updates to win over detractors of the originals, and much of its appeal relies on pure, uncut nostalgia. For those looking to relive their fond memories through a pitch-perfect recreation of the original gameplay under a beautiful new coat of paint though, this is as good as it gets. There’s a reason Spyro has made a permanent place in the hearts of gamers the world over despite a later catalogue of mediocre sequels, and it’s because of these three little games. It also represents great value, with a good 15-20 hours of content for $50. Just in time for the holidays.